Heroes, Heroines, and History: Now Hiring Writers! During the 1930’s, the United States was in the pit of The Great Depression. In 1932, one-third of Americans were out of work. In big cities, fifty percent were jobless. President Franklin Roosevelt’s Work Progress Administration helped to alleviate the country’s unemployment by creating jobs. One part of the WPA was the formation of the Federal Writers' Project, part of a program for the arts, also called Federal One. The project provided employment for historians, teachers, writers, librarians, and other white-collar workers. 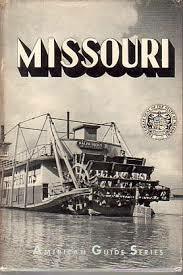 The initial purpose of the project was to produce a series of sectional guide books under the name American Guide series, focusing on the scenic, historical, cultural, and economic resources of the United States. Some 6000 individuals were employed by the FWP, including archaeologists, geologists and cartographers. The most well-known publications produced by the FWP were the 48 state guides to America. In each state, a Writer’s Project staff of editors worked with a larger group of field workers. 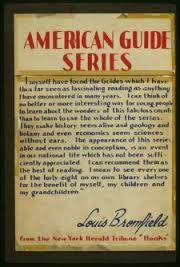 Each guide book was comprised of essays, folklore, farming and industry information and maps. Descriptions of places and tales of local history were included. In an effort to gather such information, the writers interviewed thousands of people who shared their own personal stories. 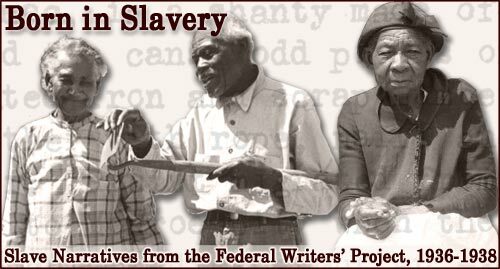 The plight of sharecroppers, migrants, minorities, and others affected by the depression were honestly told and documented by writers who tried to give an authentic picture of the culture. John Steinbeck’s book The Grapes of Wrath was inspired by these stories. In the 1930’s, 100,000 former slaves were still living. Interviews and photos collected from 2300 of them became a specialized volume called the Slave Narrative Collection. A few state governors took offense at the guide books of their states which revealed unflattering aspects and tried to stop them from further publication. In addition, the president’s projects faced criticism from conservatives who especially targeted the FWP as a waste of money. As war erupted around the world, some congressmen warned that subversives had infiltrated the U.S. and the House Committee on Un-American Activities was formed. Several writers employed by the Writers Project were under fire for writing material that was unfavorable to the country. The Federal Writers Project ended in 1939, and when the U.S. entered World War II in Dec., 1941, unemployment was no longer a problem. Some states continued the Writers Project with their own funds until 1943. These “uncommon stories of common people” were stored away for many years, but now they can be accessed via the Internet now through Library of Congress Federal Writers Project Information: http://www.loc.gov/rr/program/bib/newdeal/fwp.html. Lisa Wingate is an awesome writer. I heard about the Federal Writers project as a young girl from my great Aunt Sue. There was plans in one of the books for an odorless outhouse. She gave the plans to my father who was a missionary to Mecico. Linda, how interesting! Thanks for sharing your personal history with the FWP. An amazing story! I'm going to look those articles up and show my history-loving husband. Let's keep that history alive, Connie! I love this type of history and will look these stories up. Love Lisa Wingate too, and will definitely look up new book. Karen, so glad you love history and Lisa! My father graduated from high school in 1933 and I was born in 1936. Those were rough times.I vaguely remember my grandmother Miller talking about the Federal Writers Project around the end of the War and how she wished it still existed, but don't remember much about it. Thanks for the information. It brings back memories of those days. Lisa Wingate is a terrific writer, and anyone who wins this book will find it a great read. Hi Martha, Thanks for the feedback. I don't remember my parents saying anything about the Depression, even though they lived through it., How neat that your grandmother was aware of it and appreciated it. Fortunately, some of the writing is still preserved. Very informative. Thanks for the info and sharing. kamundsen44(at)yahoo(dot)com. Thank you, Kim, for reading Heroes, Heroines and History! Unfortunately, I never asked my grandparents about the depression. There are so many things I wish I had discussed with them. 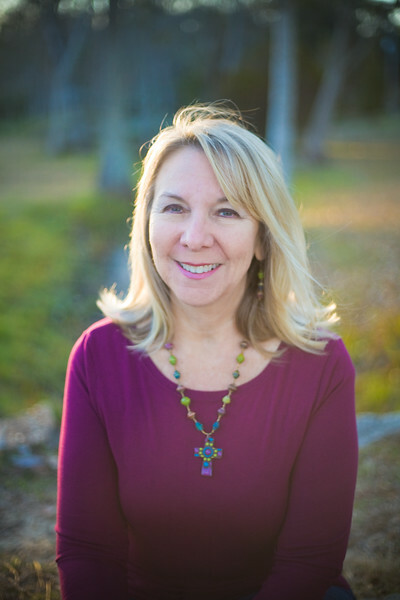 Our book club is reading Lisa's The Prayer Box at the end of Oct. I haven't read that one yet, Martha, but I hope to some day. Reading The Seakeeper's Daughters now and really enjoying it. I loved this interesting post, Marilyn - thank you! I had never heard of the FWP until I read of the story behind Lisa's book. A few years ago, I heard of an organization that was recording interviews with people and storing them for preservation. I wish I knew more about it, and wonder if it may have been influenced by the FWP. My parents and grandparents have told stories of their experiences during the depression, however, I don't remember them mentioning the FWP. A historical book, on the small town in which I reside, was published this year. Both sides of my family have always lived in this immediate area - my mother, father, and aunt (each over 90 years of age) were interviewed for info re: the book. Many photos my family had taken were included in the book. For about 70 years, my parents have lived on farm land that has been in our family for numerous generations - land that has remnant reminders of the Civil War and Indian tribes. I love Lisa's writing and her story lines, can't wait to read 'The Seakeeper's Daughters'! Thanks for the giveaway opportunity! Glad you enjoyed the post, Bonnie! How wonderful that you have a book of your family's history going that far back. So much history has died with the previous generations, unfortunately. Lisa Wingate is a new-to-me author. I find the Federal Writers Project fascinating. I am looking forward to reading more about it. I've heard/read great reviews for THE SEA KEEPER'S DAUGHTERS. Hi Caryl, I know you'll enjoy Lisa's writing. I love the way she weaves history into her books. Hi Betti, Glad you enjoyed the post. Maybe you'll win! I had no idea! Makes me think of the American Girl Kit movie where she wants to be a writer! I'll have to tell my kids. Thank you! You're welcome! Glad you liked the post, Danielle. I have never been that fascinated with history, but Lisa Wingate has changed that. It was because of her book "The Story Keeper" that I became fascinated with the Melungeons and wanted to learn more about them. When I got an ARC of "The Sea Keeper's Daughters" and learned about the FWP and the Lost Colony, my interest was immediately captured. I have spent a number of hours off and on looking through some of the FWP archives (have them bookmarked) and find them fascinating. I stay more interested in history when there are historical documents and letters to read. Thank you for sharing this with us. Lisa does a great job weaving historical data into her stories.She introduced me to Melungeons too! Such an interesting piece of American history! Never heard of it until I have read about Lisa's novel background. :) I would SO love to read this book! Hi rose, glad you enjoyed the post. Maybe you'll win the book! I love her writing too. She's very gifted.